Have you ever watched the lottery guy pull ping pong balls out of the machine to pick the day's lottery numbers? 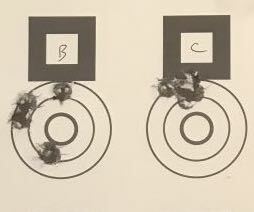 It turns out that there is a lesson for long range shooters in this simple exercise. You can think of air as a bunch of microscopic ping pong balls bouncing into and off of anything they happen to bump into. But instead of table tennis balls, we have air molecules (mostly nitrogen and oxygen). But for our purposes, they behave in a similar way to the balls in that lottery machine. Lets think about what happens when a bullet is moving through the air. Those air molecules are bouncing around and crashing into the bullet. 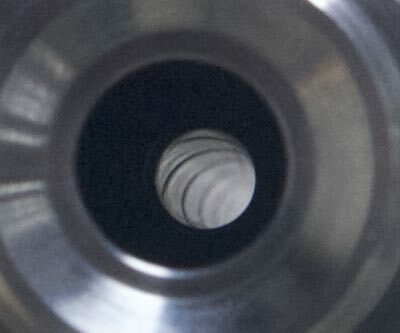 The more molecules that hit the bullet, the more resistance (drag) the bullet will feel. (This is an oversimplification of the physics, but it won't get us into any trouble for the purposes of this article). In other words, a major contributor to drag (and therefore trajectory) is the density of the air molecules. That is, how many air molecules are there per cubic yard? The denser the air, the more resistance the bullet will face. That seems like a simple concept - air density must be an input into ballistics calculators, right? Yes and no. Yes - density is a key factor used by ballistics calculators. But no - you never see an "air density" input field on a calculator screen. The reason is pretty simple. Have you ever seen an air density measuring device? I haven't. You can't just order one from Brownells. So even though we want to know the air density, we cannot measure it directly. But what we can measure is pressure, temperature, and humidity. It turns out that these three values will allow your ballistics calculator to calculate the air density with plenty of precision. 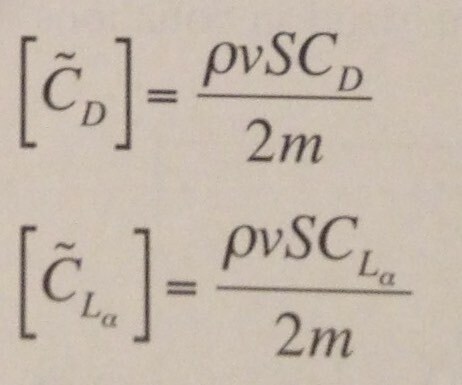 How do these values impact air density? 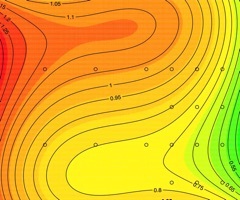 Temperature: If you increase the temperature, you decrease the air density. Think of a balloon on a hot day. It gets bigger even though you haven't put any more air into it. The air is just taking up more space. Likewise, the balloon shrinks on a cold day. If you don't like the balloon example, notice that the hot air is always trapped upstairs. The lower density hot air floats on top of the higher density cold air. Pressure: Increasing pressure increases air density. The air density inside a charged scuba tank at 3,000 psi of pressure is a good deal higher than an empty one at 14.7 psi. There is a larger number of air molecules in the full tank - much larger. Humidity: This one trips people up. Increasing humidity decreases air density. Many people think the opposite because they think of water as heavy and air as light. But on a molecular level, the opposite is true. Air is mostly nitrogen and oxygen, which have molecular weights of 28 and 32, respectively. Water has a molecular weight of 18. And since the lighter water molecules are replacing the heavier air molecules, density goes down with increasing humidity. If you go to the Bison Ballistics calculator, you will see that there are three and only three inputs for atmospherics - pressure, temperature and humidity. This presumes you have the capability to measure each of those values. Sometimes that isn't a good assumption, but with a little knowledge and some inexpensive equipment you can nail these numbers down precisely. Temperature and humidity are simple things and easy to input. For temperature, just look at a thermometer. 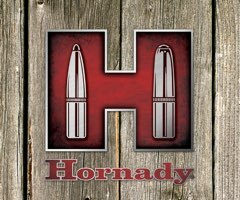 Humidity does not really matter for ballistics purposes, and many wise shooters just leave that input set at 50%. Guessing or going off what the weather report says is also fine for humidity. It just doesn't matter that much. Now that we have the easy inputs out of the way, what about pressure? This is where it starts to get confusing. Remember that what we care about is air density - the number of ping pong balls hitting the bullet. In other words, we care about the actual, physical pressure at the shooting location. This is called the "absolute" or "station" pressure. Sometimes it's referred to as "uncorrected" pressure. It has physical units of pounds per square inch, but you'll often see it listed as inHg - inches of mercury. This odd unit is a throw back to the days when we measured pressure by comparing columns of mercury in glass tubes. You'd measure the difference in height of the two columns to get a pressure reading. While that might be interesting science trivia, all you need to know is that the units of pressure used by most ballistics calculators are inHg. More inHg means more pressure. 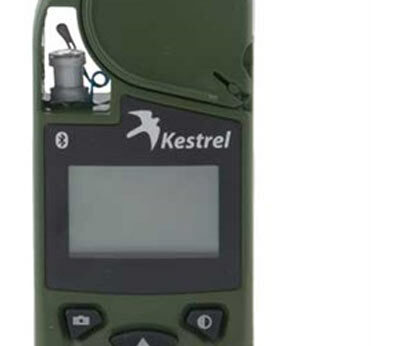 Pressure is something that can be measured with a hand held altimeter, or a device like the Kestrel 4500 wind meter. Some sporting watches have built in barometers. 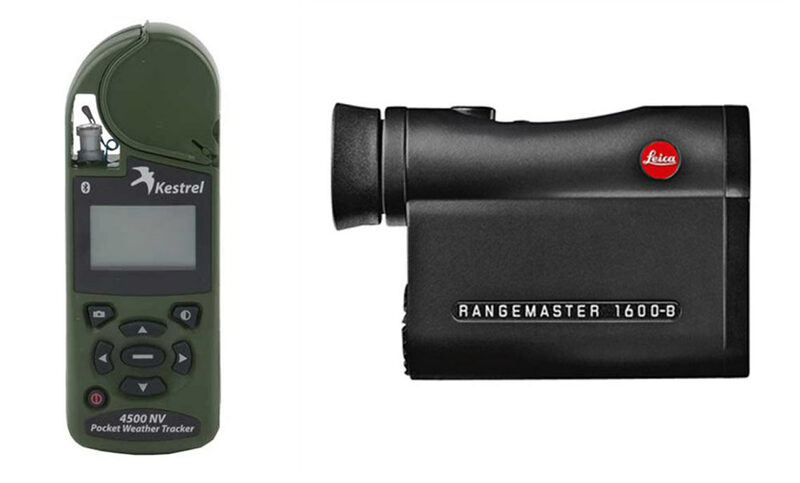 The Leica Rangemaster 1600B also measures absolute pressure (in addition to angle of sight, temperature, and range). Whichever device you choose, you must make sure you are measuring absolute pressure. Check the instructions for your device if you are not certain about this. Why is this even a question? Because there also exists a thing called "corrected pressure". This is the pressure that is reported by the weather man on TV. Meteorologists like to compare atmospheric pressure at different places on the globe. But atmospheric pressure varies greatly with altitude, so they correct the actual measured pressure to what it would be if it were at sea level. For example, the absolute pressure in Colorado might be measured to be 24.9 inHg. But the weather man will report it as 29.9, having corrected it from an altitude of 5,000 feet down to sea level. This is all great for the weather man. 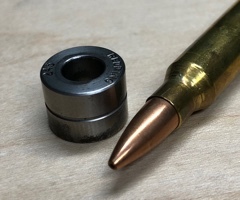 But we don't care one bit about corrected pressure because the bullet doesn't see corrected pressure. It sees absolute pressure. Corrected pressure will always be near 29.9 inHg. Absolute pressure will always be 29.9 inHg or less, and drops about 1 inHg per 1,000 feet of altitude. At sea level, corrected pressure and absolute pressure are the same. 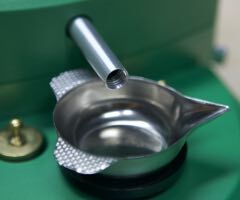 Since not everyone has a pressure measuring device, some ballistics calculators (like the popular JBM Ballistics) let you input corrected pressure and an altitude so that it can convert the corrected pressure to an absolute pressure. I don't recommend doing this. First, because a corrected pressure from an airport nearby will always be less precise than a pressure you measure on site. And second, because it requires you to know a 4th input - altitude. And when you add another input, you add another uncertainty. So leave that box unchecked and invest in a proper pressure measurement device. It will make your life simpler. As if things weren't confusing enough, scientists came up with something called "standard atmospheric conditions". For their own reasons, they find it useful to be able to specify an altitude and be able to look up a standard temperature, pressure, and humidity. There is more than one standard, but they all aim to do the same thing. Some calculators (again, JBM has this option), will let you check a box that says "use the standard atmosphere". What this means is that it will ignore your temperature, pressure, and humidity inputs and rely solely on your altitude input to look those values up. This is a crude method. You get the benefit of only inputting one number (altitude), but you give up accuracy. This is especially problematic for temperature, which might be very different from what the standard atmospheric table says. I can't think of a good reason to use this method in the field. Don't mess around with standard atmospheres. Leave those to the scientists and ballisticians doing research. But wait, there's more. 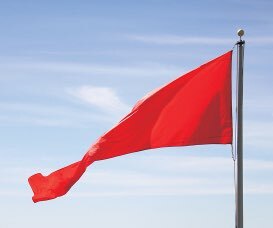 If the the meteorologists and scientists didn't complicate things enough for us, the pilots are there to throw gas on the fire. I'm not a pilot, so I don't know why, but I'm told they have their reasons. Pilots have a term called "density altitude", which is a single number that tells you the density of the air as if it were an altitude. Many ballistics calculators can untangle this number to get at actual air density. If you know the density altitude, you don't need temperature, pressure and humidity - it's all rolled up in one number. That's pretty convenient, but where does one get density altitude? It's really just a mathematical reorganizing of the standard air density calculations. However, one look at the details will convince you that it's much easier to look it up on a table like the one below. You need to know your altitude and your temperature. 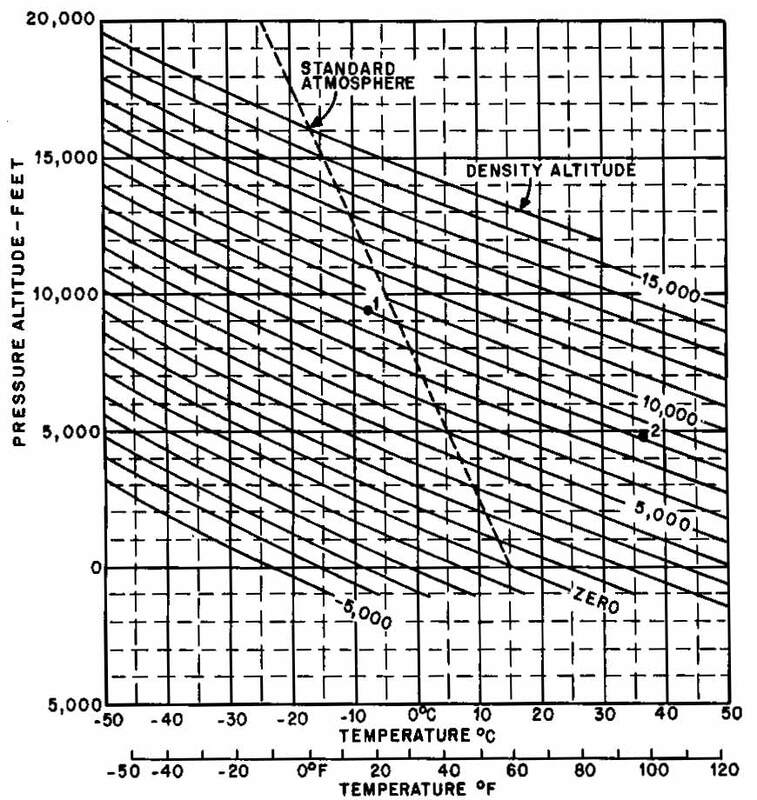 You then look at the chart and see what your density altitude is. But notice what we just did there. We still needed two inputs (altitude and temperature), and we ignored a third (humidity). So are we really any better off? We can measure pressure more accurately than altitude in most cases. All in all, I'm not a fan of density altitude. The concept just adds complexity where none is needed. My recommendation is to leave density altitude to the pilots. The following table shows each method of calculating air density, the required inputs, and its pros and cons. The preferred method is to measure the physical inputs directly - temperature, absolute pressure, and humidity. Forget about altitude. Forget about density altitude. Forget about standard atmospheric conditions. Just measure those three values and enter them into your ballistics calculator. It's harder to figure out the calculator's settings than it is to measure the data. There are two reasons as to why this is the best method. First, it's the simplest and deals with repeatable, measurable, physical quantities. Second, it's the most accurate. All the other methods use math/assumptions/more variables to derive these three basic numbers, and they introduce errors in the process. In most cases the errors are small, so if you really have a strong need to use density altitude, go for it. But why bother? Keep it simple. 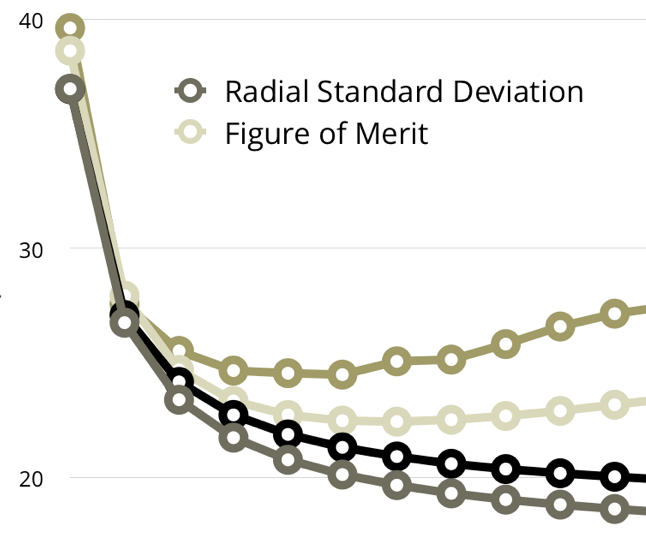 Remember that ballistics calculators rely on accurate inputs to give accurate results. The best way to get good results is to remove uncertainty from your inputs. With a little knowledge, you can remove a lot of uncertainty from your atmospheric data and increase your confidence in the results of your ballistic solution.